Last Thursday Jered Weaver made a appearance at Pechanga Resort & Casino in Temecula. I planned on going but last minute obligations kept me from attending. The least I can do is reminisce to make myself feel better. 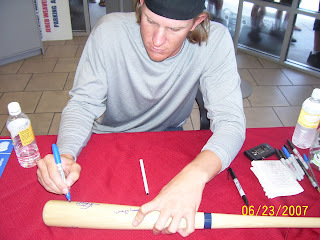 Five years ago I attended a Jered Weaver autograph signing. I'm not completely sure but I think it was at a car dealership in Corona. 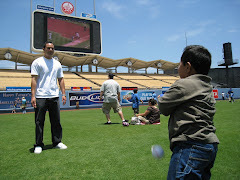 my Official Major League Baseball. I wanted to slap him on the face. Just kidding. times. Here is Jered signing my bat. I didn't have a Sharpie issue with this autograph. Alright, I guess I feel better now. signing on another blog. It is linked below if you would like to read about it.